“Empire” recovered from matching an all-time (rounded) overall-eyeball low last week, handing Fox yet another Wednesday win. CBS was a close second among total viewers, while ABC finished runner-up in the key 18-49 demographic. Fox was first in ratings with a 2.6 rating/9 share in the advertiser-coveted 18-49 demographic and in total viewers with an average of 8 million, according to preliminary numbers. “Lethal Weapon” at 8 p.m. ET had a 1.9/7 and 6.7 million viewers. 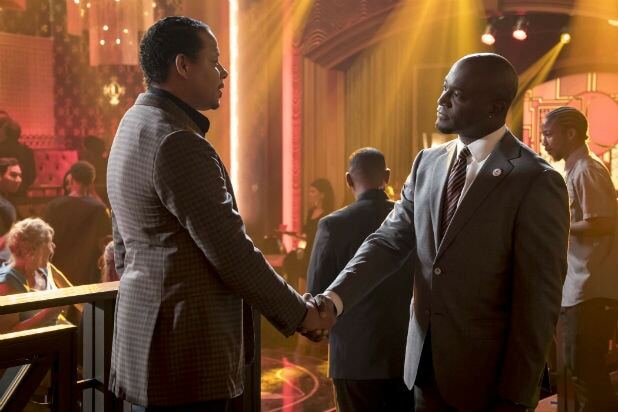 “Empire” at 9 earned a 3.4/11 and 9.3 million viewers. ABC was second in ratings with a 1.8/6 and in third viewers with 6.6 million. “The Goldbergs” at 8 p.m. ET got a 1.8/7 and 6.4 million viewers. At 8:30, “Speechless” received a 1.8/6 and 6 million viewers. “Modern Family” at 9 scored a 2.4/8 and 7.5 million viewers. At 9:30, “Black-ish” posted a 1.8/6 and 5.9 million viewers. “Designated Survivor” at 10 landed a 1.6/6 and 7 million viewers. CBS was third in ratings with a 1.6/6 and second in viewers with 7.8 million. “Survivor” at 8 p.m. ET put up a 2.0/7 and 9 million viewers. “Criminal Minds” at 9 had a 1.7/6 and 8.4 million viewers. “Code Black” at 10 got a 1.1/4 and 6 million viewers. NBC was fourth in ratings with a 1.3/5 and in viewers with 5.8 million. “Blindspot” at 8 p.m. ET received a 1.1/4 and 5.4 million viewers. At 9, “Law & Order: SVU” had a 1.4/5 and 5.7 million viewers. “Chicago PD” at 10 got a 1.4/5 and 6.1 million viewers. Telemundo was fifth in ratings with a 0.7/3 and sixth in viewers with 1.71 million. Univision was sixth in ratings with a 0.6/2 and fifth in viewers with 1.73 million. The CW was seventh in ratings with a 0.5/2 and in viewers with 1.5 million. “Arrow” at 8 p.m. ET had a 0.7/3 and 2 million viewers. “Frequency” at 9 managed a 0.3/1 and 1.1 million viewers. The night before Season 3 of "Empire" premieres, the cast gave a sneak screening in Chicago, where they film the show, followed by an after-party at Soho House. 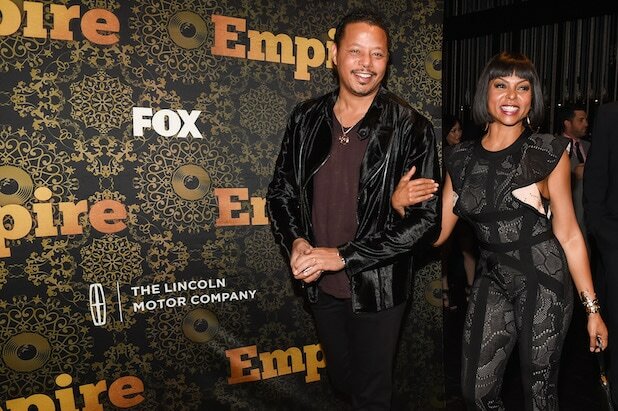 The first couple of "Empire," Terrence Howard and Taraji P. Henson, arrive for the screening. The pool atop Soho House in the West Loop was decked out -- an outdoor pool in Chicago won't be in use for very much longer. Phylicia Rashad is a guest star on the upcoming season. Ta'Rhonda Jones, who plays Porsha Taylor, lounges on the poolside daybeds with Taraji P. Henson. At the Emmys earlier this week, host Jimmy Kimmel suggested it might be time for Taraji to drop the "P." So far, the middle initial stays. Biz Markie DJs the after-party. Only 48 hours after the Emmys in Los Angeles, the show's brain trust reunited in Chicago at the Harris Theater: EP/Creator Danny Strong, 20th TV President of Creative Affairs Jonnie Davis, Co-Chair and Co-CEO Fox TV Group Dana Walden, Howard, Henson, Co-Chair and Co-CEO Fox TV Group Gary Newman, EP Brian Grazer, and Fox Entertainment President David Madden. Rapper Xzibit is done pimping rides. He becomes a series regular, playing a rival to Terence Howard's Lucious Lyon. Taye Diggs will be recurring this season. "Empire" on the streets of Chicago. Producers Brian Grazer and Ilene Chaiken have a lot to hug about. Psyched for the new fall TV season? Check out TheWrap's rankings of 12 new shows, from best to worst, as ranked by critics.